1.2 What is SGX Nifty? 1.7 Why Nifty follows SGX Nifty? 1.8 How to check SGX Nifty live moneycontrol? 1.10.0.1 SGX Nifty belongs to which country? 1.10.1 How to trade sgx nifty from India? 1.10.2 How to track sgx nifty? 1.10.3 How to see sgx nifty live? 1.10.4 What time sgx nifty closed? 1.10.5 Why is sgx nifty down? 1.10.6 Why sgx nifty up today? 1.10.7 Can Indian trade in sgx nifty? 1.10.8 Is sgx nifty closed today? 1.10.9 How to invest in sgx nifty? 1.10.10 What time does dow futures open? 1.10.12 Where are dow futures traded? Have you heard about SGX Nifty? 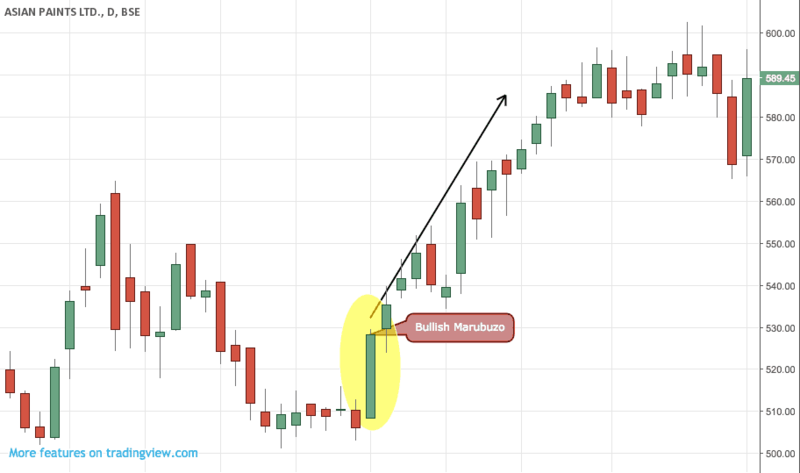 In this post you will learn everything you need to know about SGX Nifty and how to identify the market trend before the market opens. You will get to know the sources from where you can track SGX Nifty and get SGX Nifty live chart. This is SGX Nifty candlestick chart along with all technical analysis tools. You can apply RSI, ADX, MACD, Supertrend and many more indicators on the chart below. SGX stands for Singapore Exchange Limited. Just as we have Bombay Stock Exchange (BSE) and National Stock Exchange (NSE) in India. SGX is Asia’s leading stock exchange. SGX Nifty is Singapore Exchange Nifty which implies the Indian CNX Nifty traded in the Singapore Exchange.It is a prominent derivative of Singapore Exchange as it allows foreign investors to take a position in the Indian Stock Market. The symbol of SGX Nifty is SINF8. SGX Nifty by itself is not an index, but instead, it is the futures of CNX NIFTY 50 that trade in the Singapore Stock Exchange. You can track the price of SGX Nifty here. The volatility in SGX influences the other Asian markets. SGX Nifty is traded between 6:30 am to 11:30 pm while CNX Nifty is traded between 9:15 am to 3:30 pm. Because of this longer time duration of SGX Nifty the global political news, economic news, the release of important economic data, affects the SGX Nifty even when the Indian Market is closed. Then the next day, when the Indian market is about to open it, is affected by the price of SGX-Nifty. The NIFTY future of NSE that is CNX Nifty and that of Singapore (SGX-Nifty) equalizes after the opening of the Indian market. Consider a situation in which at 9:15 am if SGX-Nifty is 40 points up (+40) then you get the idea that Indian market (NIFTY) will open positively.Similarly, if SGX-Nifty is 40 points down (-40) then you know that the Indian market (NIFTY) will open with a negative bias. So basically SGX Nifty trend can help you to identify Nifty trend beforehand. You can check SGX Nifty live moneycontrol before the Indian Market opens to get sgx market information. You can use the following sources to check today’s SGX Nifty live along with SGX Nifty Live Chart. Singapore stock market opens more than two hours before the Indian stock market and is directly correlated to the Indian stock market. It moves in accordance with the CNX Nifty, therefore, it can be used as a tool to predict the Indian stock market as it provides the initial direction to the Indian stock market. Besides, both Singapore and India fall on the same continent due to which there is a correlation between the stock markets of both the countries and the sentiments of the stock markets are dependent on each other. The first and foremost that you should do in the morning as an investor or trader in the Indian stock market is to check the SGX Nifty Live Price here, basically, you should bookmark this page as you need to check it daily. The current price of SGX Nifty will help you to understand the likely trend of the Nifty that day. You will be able to find out whether it is going to be a gap up, gap down or flat opening. You can then apply your skills of technical analysis to identify the support and resistance levels for the day. Technical analysis is possibly the only logical way by which you can find out the stance of Nifty in the current market situation. You can follow news and other methods but you won’t be able to trade accurately based on that and most probably you will be trapped by buying stocks at a higher price. So thanks to easy online availability of data, identifying the trend of the market is a piece of cake. You just need to carefully follow the steps given above daily. Singapore Nifty (SGX-Nifty) is the Indian Nifty that is traded in Singapore Stock Exchange. It is usually the first indication of the initial direction of the Indian stock exchange. India, as well as Singapore, is in same continent i.e Asia. SGX moves along with Indian Nifty. So it serves as a predictive factor for Indian Stock Market. SGX Nifty provides foreign investors the opportunity to invest in Nifty Futures. Why Nifty follows SGX Nifty? 1) Nifty derivatives contracts are listed on Singapore Exchange (SGX). So it is the same thing as our Nifty futures in terms of the Nifty composition of stocks. 2) SGX opens earlier than the Indian Stock Market. So the prices reflect the early market sentiment after factoring in the performance of other Asian markets such as Hong Kong and Japan. 3) The volumes on Singapore Nifty futures is equivalent to the volumes traded in India. So, by sheer participation the early move made in SGX-Nifty has to be respected otherwise there will be arbitrage opportunities. 4) The second-largest amount of foreign capital flow into the Indian markets is routed via Singapore. They prefer to take positions beforehand and hence trade in SGX instead of NSE. How to check SGX Nifty live moneycontrol? Step 2 – Click on the markets tab. Step 3 – Click on the pre-market section. The SGX Nifty is a term derived from the combination of “National” & “Fifty” is a trademark or rather a market-index of India’s National Stock-Exchange (NSE). Quoted on the Dow, the Nifty is a benchmark index for the Indian equities-market and is popular because it is extremely versatile and diversified. Introduced by the NSE way back in late April 1996, it is made up of 50 stocks actively trading on the exchange and accounts for all the 12 sectors of the county’s economy. The Singapore Stock-Exchange, an important Asian stock-exchange, provides trading on important world indices and the SGX Nifty, the Singapore Nifty is a derivative product of the Indian Nifty traded on the Singapore Stock Exchange through a licensing agreement. Derivatives are used for speculation purposes and to hedge investments. In very simple terms, a financial derivative is a two-party contract specifying the conditions under which payments are made between the said two parties. A futures contract is an example of a derivative product and is a buyer-seller agreement to buy or sell an asset at a pre-set agreed future date as well as price. A derivative is based on an underlying asset: bonds, commodities, interest rates, market indexes, stock or currencies, and its value is calculated by the fluctuations in the asset from which it derives its underlying value. There is a certain amount of controversy around derivatives because of the role they played in the financial crisis of 2008 and because of their many forms, which make it difficult for regulators to oversee the derivatives market. Derivatives are possibly not products that the average investor or beginner should dabble in but when used with restraint and the required knowledge, they can add value to the financial markets. Not all the stocks making up the Nifty are all traded on the Singapore Stock Exchange but the SGX Nifty implies a futures index used to benchmark fund portfolios, indexes based on derivatives and index funds. India Index-Services & Products Ltd owns the Nifty and by trading in index futures, an investor is basically buying or selling a basket of stocks which make up the index in their respective weights. There is an interdependence in the movement between the SGX Nifty and the Indian Stock-Exchange and so trading in the SGX Nifty allows investors exposure to the Indian Stock-Exchange. Foreign investors can trade the Indian Nifty on the Singapore-Exchange without registering with the Securities and Exchange Board of India. The costs are cheaper, the taxes lower and the volumes traded in Nifty futures in Singapore are higher. The size of the derivative contract of each SGX Nifty contract is $2. On the other hand, the minimum price-movement when it comes to the futures contract is $1. This means that the contract equates to about 0.5 index-price movements. Trading contracts are either monthly or quarterly but a great deal of the volume trading is found in the monthly-contracts. These are available for two sequential months—an example of this is trading in November where trading can take place in November contracts as well as the next month December. The SGX Nifty quarterly contracts are for March, September, June, and December. You can check SGX Nifty quote live on Bloomberg. Check it here. You need to search SGX Nifty 50 Index Futures here to get the SGX Nifty chart on TradingView. Invented by Charles Dow in 1896, the Dow refers to the Dow Jones Industrial-Average, which gives investors an indication of how 30 large American companies have traded during a normal trading session on the New York Stock Exchange (NYSE) and the NASDAQ. Investors need information about the overall market sentiment, whether it is bearish or bullish to help them make trading decisions and the Dow is an important index that many investors track very closely to get an overall idea about how the stock market is performing. By the same token, Dow Futures Contracts are a legal buyer-seller agreement mandating them to pay out or get the difference between the Dow Jones Index-price predicted at the beginning of this contract and the actual Dow-Jones Index price valid at the time of the contract expiry. Many queries are coming in like SGX Nifty to shut down ?/ SGX Nifty to be closed? / SGX nifty to end? The Singapore Stock-Exchange Nifty is quite simply the Indian Nifty, but traded on the Singapore Exchange. The agreement between the National Stock-Exchange and the Singapore Stock-Exchange allowing futures and options on the Nifty to be traded on the Singapore Stock Exchange will come to an end in August 2018 and is unpopular with exchanges worldwide and institutional investors because of the potential for disrupting trading and is still under discussion with the Indian exchanges. SGX Nifty belongs to which country? listed ion National Stock Exchange. How to trade sgx nifty from India? Many traders, therefore, check the progress of the performance of the SGX Nifty. A levy of 0.125% is taxed by the Securities Transaction, on the values of all share market transaction in India. The Singapore Stock Exchange has obtained licensing rights’ and has been providing products Licensing rights from India Index service and Products Limited has allowed Singapore Stock Exchange to offer a product range that includes derivative contracts. The products may be added due to the rise in the trading of India related products on The Singapore Stock Exchange. How to track sgx nifty? Trading starts early in Singapore approximately 3 hours before India and continues for long hours. Investors, therefore, find it useful for their hedging and trading requirements. Every development that takes place in the Indian Market reflects into the SGX Nifty even when Indian Markets remain closed. The presence of SGX Nifty has become a challenge for the Indian Policy Makers in various ways. How to see sgx nifty live? The Singapore Stock Exchange brings Live Charts of the SGX Nifty to enable investors to know the expected opening levels of SGX Nifty and National Stock Exchange before the market opens. The Singapore Stock Exchange allows for 24 hours trading through after market trades. This enables investors to trade and safeguard their bets at any time. The investors also use it as an indicator of where the Indian Stock Market will open the next day. Singapore Stock Exchange is the leading exchange in Asia that allows investors to take positions in different products on the basis of the features that are traded on the exchange. International investors are able to bet on the Indian stocks devoid of having to register or set up their entities with Indian authorities because of the settlement of the contract on the basis of The Nifty settlement prices in the Indian Stock Exchange. What time sgx nifty closed? SGX Nifty trading is available from 6:30 am Indian time at Singapore till 3:30 am India time at India which is 6:00 pm in Singapore. However, since the Singapore Stock Exchange allows for 24 hours of trading, investors can safeguard their bets at any time. Why is sgx nifty down? Why sgx nifty up today? Singapore Stock Exchange is planning to list three new India equity derivative products in June, hereby enabling participant’s continuity with their India risk management exposures. These contracts won’t be anchored by underlying security or index. They will be exactly what their buyers and sellers prefer them to be. The SGX Nifty futures contracts with the National Stock Exchange, which will cease to trade in Singapore after the license expires is popular among foreign investors that want a dollar-denominated product and the nation’s less arduous tax laws. Can Indian trade in sgx nifty? The National Stock Exchange (NSE) India’s largest stock exchange has a contact with The Singapore Stock Exchange (SGX) that allows futures on the Nifty to trade in Singapore. The SGX Nifty will launch Indian Equity based derivative products in June to give international investors continuity in their exposure to the Indian markets. These products that will be launched on June the 4th will be called India futures and India options. However, the contract will cease to trade in Singapore after the license expires and they will be delisted on the same day. Is sgx nifty closed today? The SGX Nifty is open today with live rates that can be checked here. How to invest in sgx nifty? There is an Underlying Stock Index which is a market capitalization index of 50 components stocks listed on the Indian bourse. The Futures price is approximately 11,000. Daily Price limits and temporary Price limits are effective and they vary depending on the upper and lower price limits. What time does dow futures open? The U.S. Stock exchange opens from 9:30 am to 4:00 pm Eastern time from throughout the weekdays from Monday to Friday. Though the trading of the Dow Stocks is limited to regular hours of the stock market, futures trade nearly around the clock. The electronic versions of the Dow futures start trading at 5:00 pm and trade all through the night until 15 minutes before the stock markets open. On Sundays, the Dow Jones futures start trading week at 5:00 pm Eastern time on Sunday. Futures trade nearly around the clock when the stock markets are open. Throughout the night the news and financial events from around the world affect the night and early morning prices. The electronic Dow Futures trading occurs both on an exchange floor called open outcry. The Dow Jones futures trade the open outcry from the time the stock market opens until 15 minutes after the closing bell. Where are dow futures traded? The Dow Jones Industrial Average covers the overall value changes of the U.S Stock Market. The Dow Jones Industrial Average tracks the share price of 30 major U.S companies which includes giants such as Coca-Cola, Intel, and IBM among others. The Dow Jones has been tracking stock market values for more than a hundred years. If you enjoyed this post, it would be great if you could help us by emailing it to a friend or sharing it on Twitter or Facebook. Thank you! How to identify fundamentally strong stocks? Nice post. I recommend everyone to bookmark this page.